In the winter I move a little, while in the summer I like to ride a bicycle. Difficult to say how much my own weight “by nature” would be, because in the summer the weight reduce, and in winter it is gained. Last summer (2017) I rode a very little because of cold and rainy wheather. And the weight remained as it was. In winter I gained 5 more kilograms. So, in this bicycle season (2018) I decided to pay attention to the weight lose. With the aim – without any suffer to remove these five kilograms. With my height of 172 cm, I feel good in weight 67-69 kg. I do not lead a sporty way of life, but I like skiing in the winter, and in the summer on roller skates and bicycle. 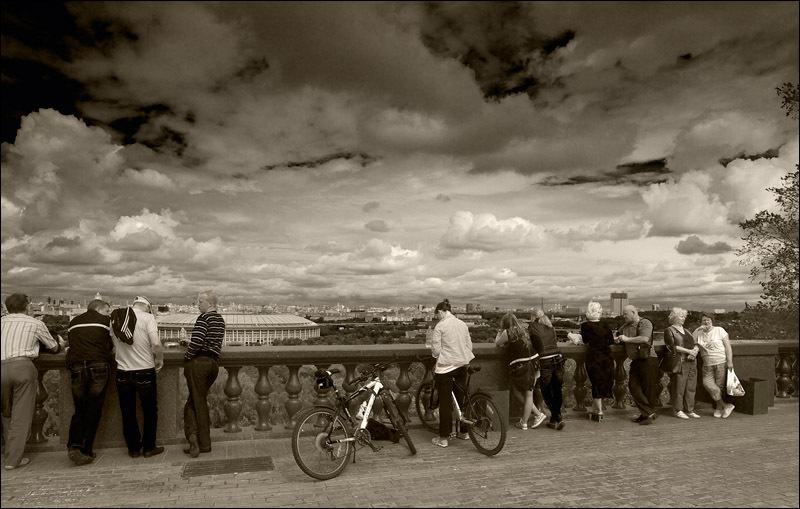 And then came 2012, with good weather. Approximately from the middle of June began to regularly go on a bicycle. It is interesting that the purpose of the trip was to go for 20-25 kilometers to McDonald’s, to enjoy fish, chicken, French fries and tea, then go back, or to somewhere else. I live on the border of Moscow, so one of the McDonald’s at the “target distance” was in Troitsk, the same 22 km, but in direction to outside the city. In the city I rode with often stops. And here in suburb there are no traffic lights. It was a difficult for me to bear long spans. On the first trip, hands went numb, so it was difficult to keep a glass of tea in McDonald’s. Hands recovered through two weeks. During this time I had to look on the Internet about correct sitting on bicycle, about the correct hands grip on the handlebars. And at the same time, the information about the cadence (the correct number of pedal turns per minute) was found, which turned out to be very useful. I liked to ride with the right cadence, I wanted to ride again and again. Target McDonald’s or Subway’s were appointed in various locations throughout Moscow. I must say that the style that developed, it’s not just to go for a whole day, but to plan a route and drive it quickly. That is, if you need to rest, then you rest, but “do not brake” all the time. 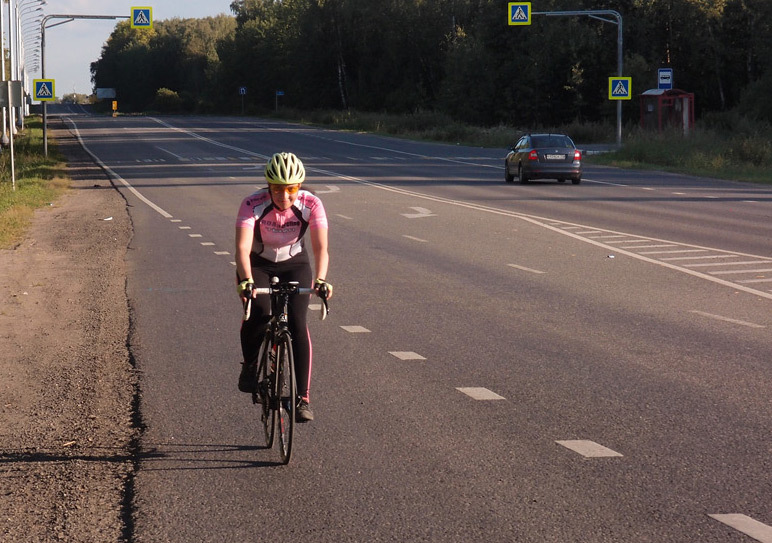 At the end of July, the biggest distance in Moscow for 100 kilometers took place, which was sufficiently easy. By this time, there were 7 rides “commuting”, 7 shots out of the city and 20 runs in Moscow with a total mileage of 1300 km. And weight? Weight has not gone anywhere. I did not trace kilograms, but nothing changed by the words of others. For August and half of September, cycling continued, the total mileage for the season (three months) was 2,400 km. And then my mother said to me: “How thin you are.” And then everyone whom I met noticed the same. “Gone” 8 kilograms, weight became 65. This second half of the season really differed from the first by more distances in a ride. There were 17 runs on average 66 km/ride. But I think that it’s not only because of that. Probably at the first half of season the process was started. If the season ended in early August, then there would not be a change in weight. I also think that it was because of pedaling with the cadence of 90 and with the speeds, which were much higher than in the past years. For the past five years since 2012 my style of riding has changed. I’m not ride in Moscow anymore. To Troitsk, a sobering person will not ride anymore because of reconstruction road to highway. 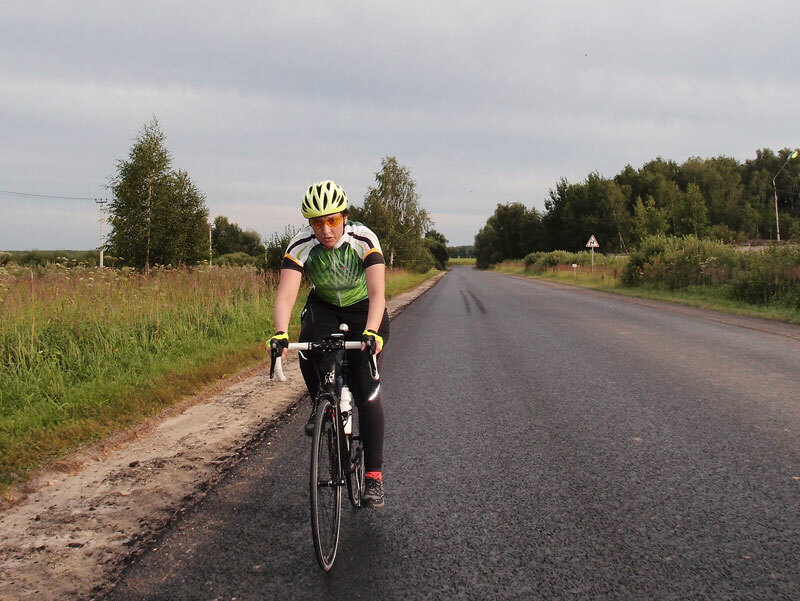 On the asphalt I ride along the calm roads about 30 kilometers from the Moscow (and get there by car). And on a road bike. These are the so-called “volumes”. The distance is 50-70 kilometers, which I try to ride without stopping. 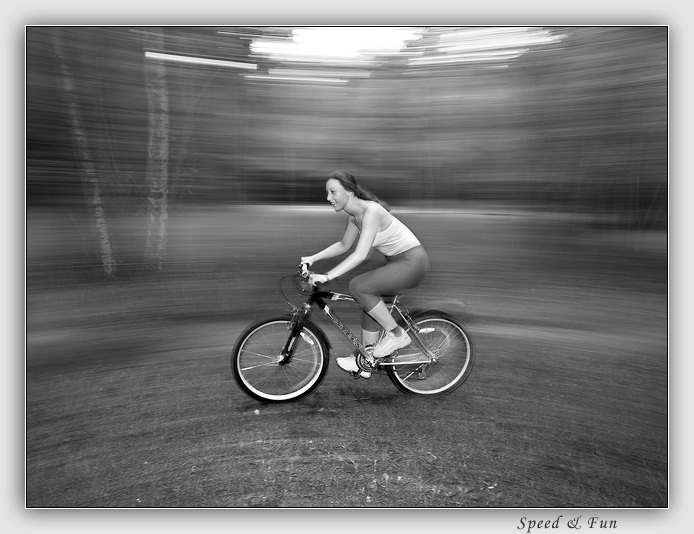 The average speed is about 25 km/h. The cycling season began with a weight of 72-73 kg. But the season somehow could not begin. There was no weather at all. It was too wet in the forest. It’s almast every day going to rain, so it’s too risky to go ride far from of town. Judging by the Internet, many stopped paying attention to the rain and cold, but it does not suit me. I try not to ride when the rain is high possible. There was another problem, delicate. “Critical days”, 5 in a row. That summer it always was exactly when the weather was bearable for riding. So typical breaks in riding was to two weeks. That is, once rolled out and became good pedalling, then the break of 10-15 days, and then you need to roll out again. In August, there were three weeks with weather was as in the photo. Have got a good volumes on the road. But then another two weeks of bad weather. So rolling out again in September because of a couple of weeks of sycling no longer wanted. In general, the weight has not changed. So, 960 kilometers of mileage, of which 820 on the road and 140 on ski loops went in vain. The bicycle season began at a weight of 76 kg. I decided that I need find out how to minimize breaks due to “critical days”. With the help of the Internet was luck to find how advanced girls solve the problem of critical days and to buy the correct silicone device on Ali-Express. I decided to start season as early as possible, without waiting for the ski loops in Alfa-Bitza to dry after the snow. 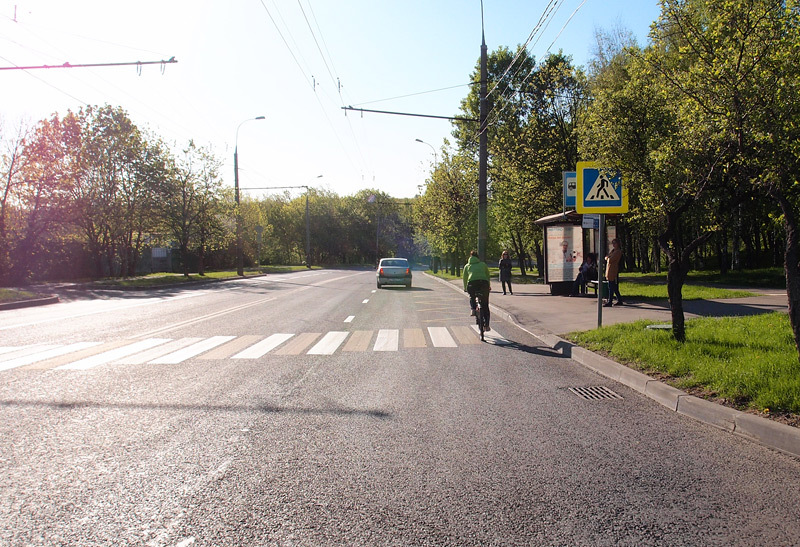 For this, a small asphalt circle of 2 km with low traffic was find, on which it is possible to ride the laps on the MTB, with total distance at least 15 kilometers. The process should be launched early, because a “quiet” weight loss can be expected after about two months of regular riding. And to consolidate it is necessary that the season lasts at least three months. Also decided to pay special attention to getting on the usual speed for me, but on the cadence of 90 (the average cadence for the ride is 76-79). Last year I was fond of an “effective” cadence in the range of 65-75, which for me is economical for long distances. In general, the power is about the same as before, but is produced in a more “incinerator” way. On the ski loops it turned out that with such an increased cadence it is much easier to ride uphills, there is an additional inertia in pedaling. As a result, I began to calmly ride the 4 laps (3 kilometers each) without stopping. For this I learned to drink on the go. By mid-August 2018, the weight lost by 5 kg. This is already a success, although the season has not yet ended. Interestingly, the mileage on the road bike is now about the same as last year. But last year this mileage did not give anything. Means as well as expected, the reason not only in it. I want to sum up now, and then, at the end of the season, add. Three months of regular riding. So that the sportive form constanly gain. Especially in the beginning. Then, in July-August, a break of two weeks can be perceived as a rest, and not as a loss of form. It is also highly desirable to get rid of dependence on “critical days”. 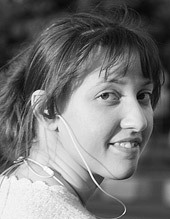 Select at least once a week for “volumes”, a distance of 70 kilometers. After each ride, the weight immediately falls to a kilogram. Partly of course because of the water, and then almost restored. But almost. Watch the cadence and speed. Cadence 90, but with the force especially up the hills. Ride more often, even though by the one hour. For an hour you can roll well at the beginning of the season, and then engage in high-pulse intervals. Although it is believed that fats do not burn, but in fact, the weight that “lies on top” goes away quite noticeably. And of course ride with a pleasure! It is interesting to observe how weight went off for the season. However, I was weighed not regularly, and the weight “walks” within a kilogram. But nevertheless, the dependence is visible (the weight on the graph is shown by the red line). The cell’s pitch along the vertical is the dropped weight, and horizontally the weeks of the season. You can see that the first 7 weeks (marked with a lilac fill) the weight did not change. Then the next 7 weeks (green fill) went a stable weight loss, it took totally 5 kg. Then the rate of weight loss probably just rose, and for the next 4 weeks (orange pouring) took another 3 kg. At this time, I rode on a road bike more often. And as total for the season (for today) there were 19 rides on road bike with a total mileage of 1285 km and 55 rides on MTB with a total mileage of 975 km.